other information Tara TARACD 1002/9, . Half of a double CD. Reissue of Tara 1002, 1973. Notes by Seamus Ennis and Liam O'Flynn. 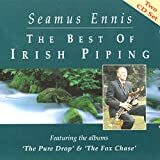 Ennis's pipes are tuned between C and C#. 5 1 JigD When Sick Is It Tea You Want?